your third pic is sexxxxaye. so are those you linked to on flickr. i couldn't beleive my eyes when my local co-op had them for 78 cents a piece. sometimes we get lucky here in the sticks. I'm so excited that it's pomegranate season again! 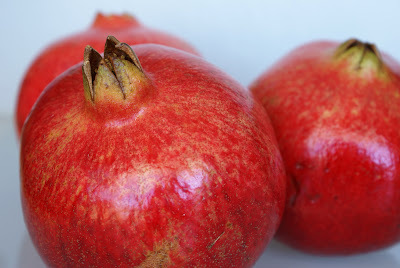 I have a delicious recipe for a pomegranate salsa and I can't wait to make it. The "nestled together" picture is a beauty! Waiting for your next post :). Such a lovely pic.I loved the third pic. Will wait for your next post Manisha. In costco once i picked up a brochure that told how to open up a pomagranate. I usually used to open it the way you do and end up having splatters and stains. OK., The best way is to slice out the top an bottom and gently make a couple of lines in the side without going through to the red fruit inside. Now in a big vessel dip the pomaganate completely and open it up in the water. The peels and the yellow things float on the top . strain it and all that you are left with is the red fruit down below. I forgot. You need to fill the vessel with water before making this an underwater experience. I don't know why you complain, Bee! You have great soil, excellent produce and you get pomegranates really cheap! And here I am! Paying $2 cos that's the lowest I've seen! Suganya, thanks! Feel free to share any critiques or suggestions. Musy and ToM, thanks and unfortunately my next post will have to wait till tomorrow. I burnt my hand when I absent-mindedly picked up a pan that I was heating in the oven. My fingers are covered in blisters. Ouch! Parul, thank you for that info! Yes, that's what the little brochure from POM that came with the fruit also says. As does the link from my post. 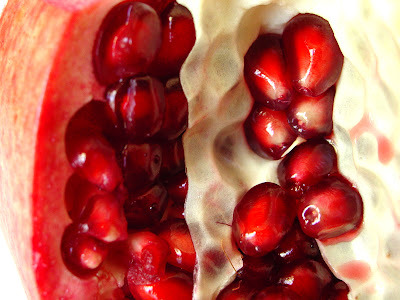 Beautiful rubies...when is it pomegranate season in Delhi,I forget...must be right now? 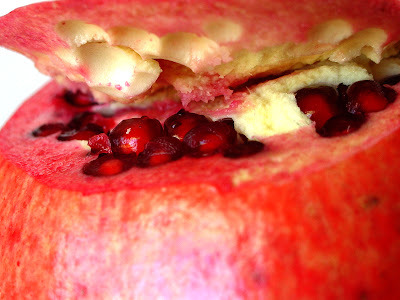 The season for pomegranate in the US is from mid-September to mid-Jan. This is the first I saw of them in Colorado and these are Californian poms. Yes, I know! All that way and global warming and all that. But if I paid heed to that, I would eat next to nothing! The growing season is very short in Colorado. If everything that is not perennial didn't die last night, then it will die tonight. You have an excellent flair for writing ...you've presented a simple regular fruit so beautifully..love your snaps too!! Ooh, looks delicious. I rarely buy poms because they're such a pain to peel. I'll have to try your method. Nice post Manish, and very true about Americans. When I was little- in the 70's- most grocers always stocked a few, but very few people knew what to do with them. In my family, it was just my mother and I who loved them- split in half, sprinkled with a bit of sugar as they were always a bit tart (grapefruit had a similar reception: my father and sis detested them) But yeah, now...now I don't know anyone who hasn't at least tried one- or had the juice. The large quantities for sale now are hard to ignore! But, of course, Grenadine has always been a standard bar-stock. The last picture is a masterpiece...haven't had these beauties for a very long time. Burnol lagaya? on those fingers. 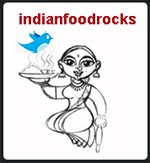 Kitchen Scientist, welcome to IFR! I'm glad you liked my picture of an egg. SCI, I'm glad you think so! Welcome to IFR! Kitt, try it. If it doesn't work, do the underwater thing. Pomegranate juice stains! Thanks for that link - I do feel a lot better. Pel, I love grapefruit with sugar! The quantities of poms as well as the marketing push! They are everywhere. I quite like pom tea. Pom martinis are yum, too! Sunita, give in to the desire when you see them! They are good or your health! TC, Burnol! OMG! No! Did you know that it's a general all-purpose anti-septic cream? It makes for a great marketing case study: how not to position a product or, better still, how to position a product for failure! Wow !! lovely pics and a nice blog,all those lovely pome pics are a visual treat indeed!